This week, we celebrate the 80th anniversary of the Jet Propulsion Laboratory. JPL was founded long before it became NASA’s premier center for robotic exploration of the solar system – and even before the agency existed. In fact, JPL started as the test-bed for some of the earliest rocketry experiments (thus the name “Jet Propulsion Laboratory”). There were a number of factors that conspired to change JPL’s focus from rocketry to space exploration. The Space Race and the resulting formation of NASA were two major factors. But also, with its growing expertise in launching rockets to new heights, JPL was anxious to take its experiments even farther. So in 1957, when the Soviet Union won the first leg of the Space Race by placing Sputnik, the first artificial satellite, into Earth orbit, JPL was called into action. A few months later, NASA launched the JPL-built Explorer 1, which became the first U.S. satellite. Soon, the challenge was to land on the moon – and JPL was once again called to the task. Landing on another planetary body had never been accomplished so, understandably, it took a few tries to get things right. 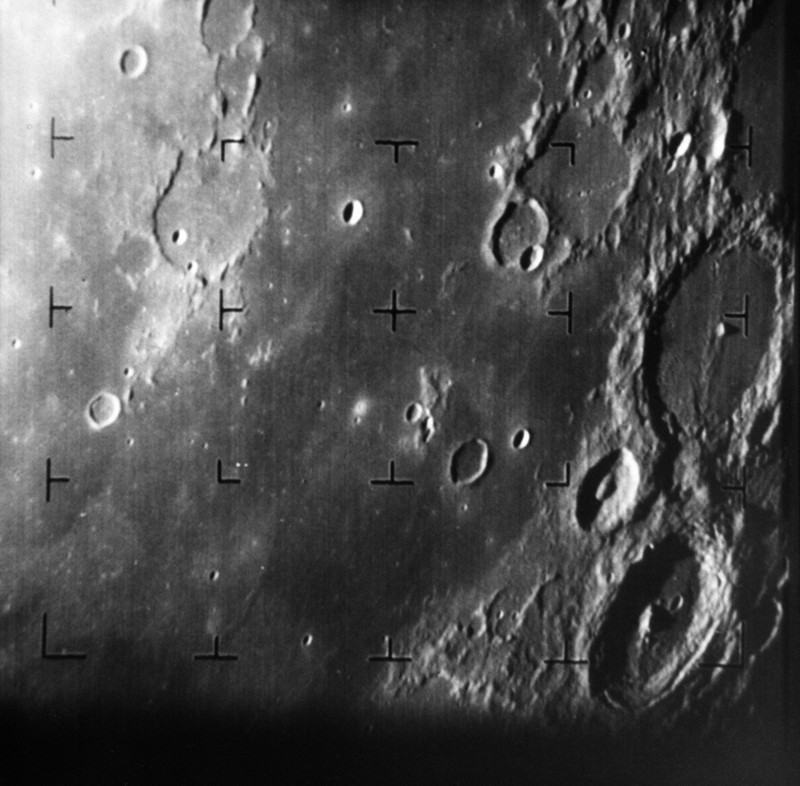 JPL’s first attempts at a moon landing with Rangers 1 through 6 all failed for various reasons. Some of the spacecraft flew very near the moon only to miss it by a few hundred kilometers; others met their mark only to have onboard cameras fail. Ranger 7 was the first mission to successfully land on the moon and transmit data, capturing images 1,000-times better than those obtained by ground-based telescopes. It wasn’t a particularly soft landing; rather it was a purposeful crash landing, capturing images along the way. But everyone at JPL was thrilled to have hit their target and returned usable data. These data, and those collected by subsequent missions, made possible NASA’s later human missions to the moon. At the same time it was launching the Ranger lunar missions, JPL had also set its sights on venturing even farther into space and began launching a series of missions called Mariner to Venus, Mercury and Mars. It wasn’t long before JPL’s specialty became creating robotic spacecraft to go not just to the moon, but also where no one had gone before. 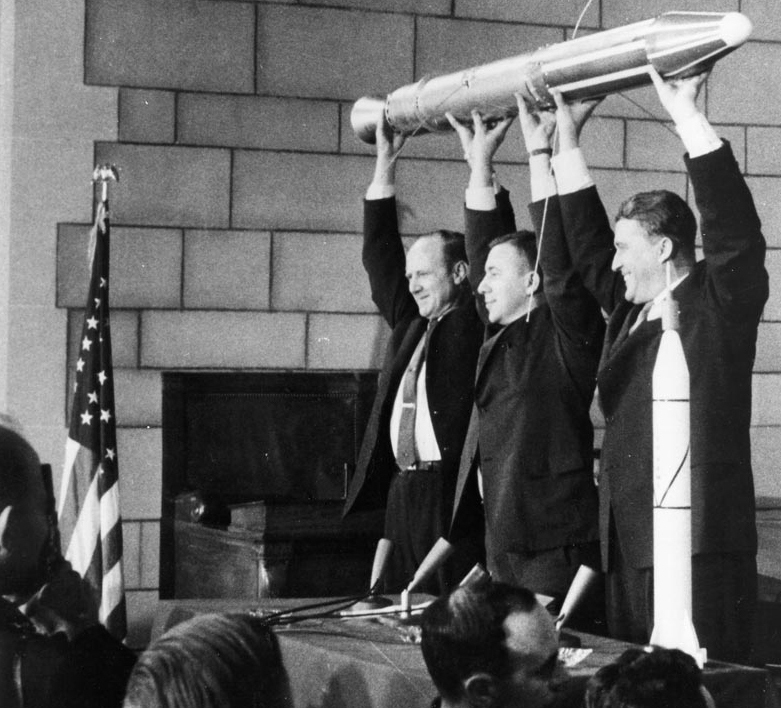 Learn more about the history of JPL and the U.S. space program in the video series below. And explore the interactive timeline. 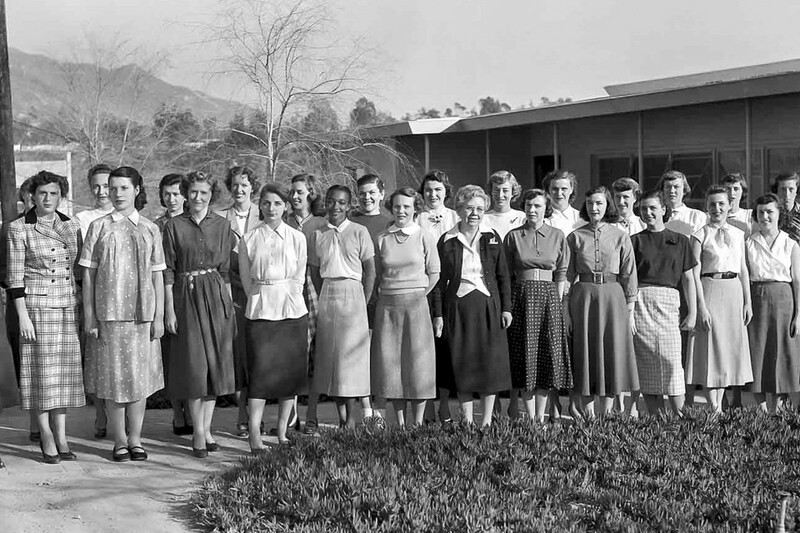 What’s often not known is that all the early rocket experiments and later missions to the moon and beyond wouldn’t have been possible without a team at JPL known as the human “computers.” Most of these human computers were women who either had degrees in mathematics or were simply very good at mathematics. 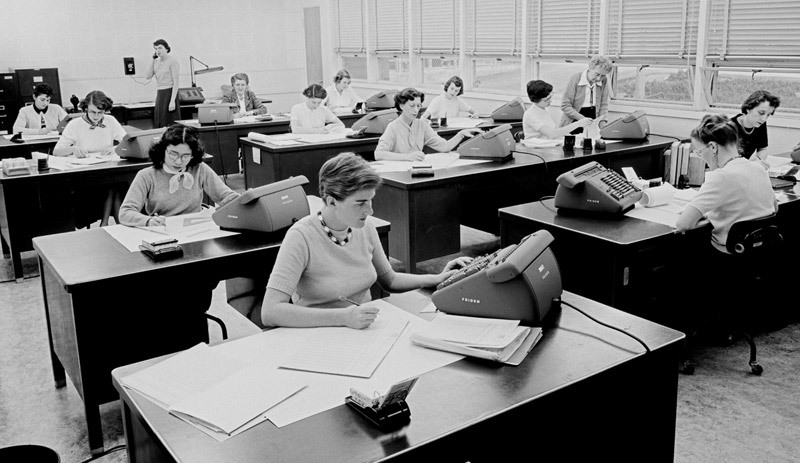 Over the course of time, these women not only performed hundreds of thousands of mathematical calculations crucial to the U.S. space program, but also eventually became some of the first computer programmers at NASA. In the early days of space exploration, the best mechanical computers were large (the size of a room) and not particularly powerful. Human capabilities were much more powerful for many tasks, including the rapid calculations needed for trajectory analysis and verification, as well as the graphing of data points on trajectories, which made a spacecraft’s path easy to see. 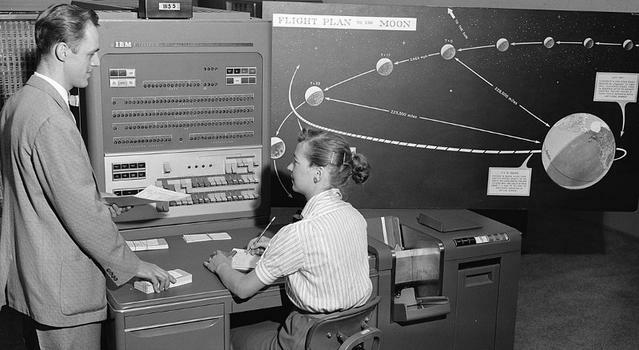 One of the human computers’ main tasks was computing the planned trajectories, or paths, for a spacecraft based on the vehicle weight, lift capacity of the rocket, and the orbital dynamics of the planets. When a spacecraft is launched, it begins sending telemetry signals back to Earth. These signals tell engineers information about the spacecraft’s location and health. But this information isn’t perfectly straightforward. It arrives as a bunch of numbers that need to be combined in formulas along with other constantly changing parameters (such as velocity, vehicle mass and the effect of gravity from nearby bodies) in order to reveal the spacecraft’s actual location. 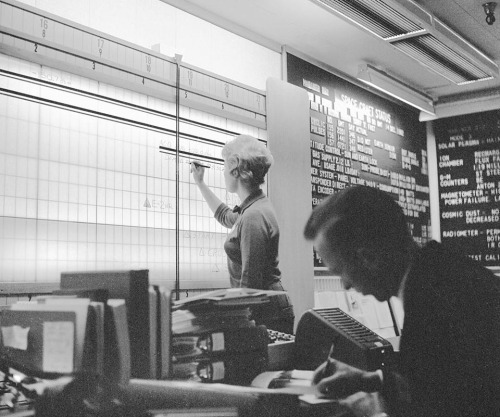 Before there were computers (as we know them today) to do these calculations, human computers would feverishly calculate the exact location of the spacecraft as the telemetry came in and compare that to the planned trajectories. Their calculations would reveal whether the spacecraft was on target. Doing the calculations required to get Explorer 1 into orbit was no small task. Calculating the trajectory for a Ranger crash landing or a Surveyor soft landing on the moon was even more challenging. Once humans were destined to be on board for the Apollo missions, the stakes were even higher. Fortunately, JPL had set the stage developing the techniques – and calculations – necessary to land a robotic spacecraft safely on the moon. Today, JPL continues setting the pace for exploration of the solar system using robots to go where humans hope to venture one day, such as Mars. Though trajectory computations are now done using modern day computers, humans are still required to do trajectory analysis and mission planning. Every mission is different, and with new techniques comes new simulation equations that must be developed and computations that must be performed during actual mission events to ensure success. But even now, nothing is fail-proof. Lots of variables can and do influence spaceflight. Arriving safely on another planet millions of miles away isn’t easy or taken for granted, but when things go right and we achieve a safe landing, it is definitely cause for celebration. When launching to another planet, we want to take the most efficient route, using the least amount of rocket fuel possible. The early human computers quickly discovered that launching when two planets are closest and using a lot of rocket fuel for the job isn’t the best plan. Use this fascinating bit of history as a real world, advanced algebra and physics lesson with students in this standards-aligned activity that has grades 9-12 calculate the next launch window to Mars! 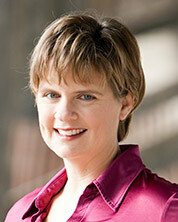 Meet JPL engineer Sue Finley – Finley started at JPL in 1958 as a human computer and still works at the laboratory.